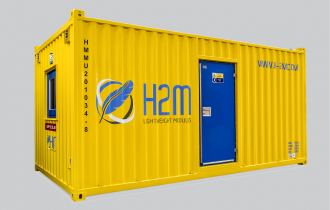 H2M Lightweight Modules has recently placed 8x 33ft. 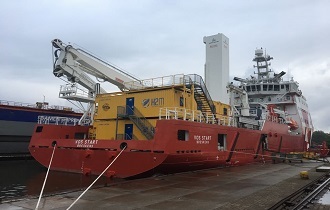 2-men sleeper modules on VOS Start, a DP2, subsea-support walk-to-work vessel owned by Vroon Offshore Services Den Helder. The 33ft. 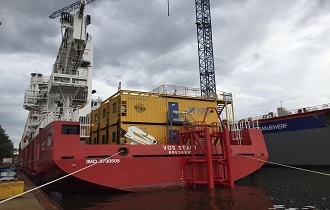 modules were placed on board the newly built VOS Start in the harbour of Amsterdam (NL). 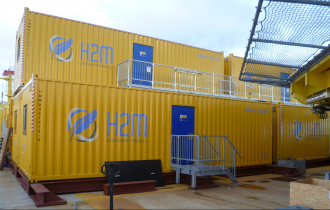 H2M took care of transport and installation of the modules, stairs and walkways, linking kits, sewage pumps and transformers and additionally installed a complete Heli-winch area on top of the modules. This once again demonstrates that H2M is not just a rental company, but a full-service provider delivering clients the service they require. 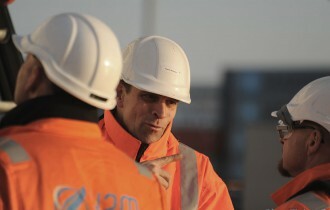 H2M can provide a full-service solution, including engineering, transport, installation, hook-up, commissioning and service during the period of use. The 33ft. 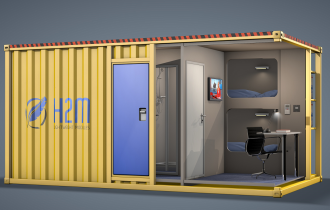 2-men sleeper modules, each equipped with two comfortable single-bed cabins, are expected to be utilised until the beginning of 2018. 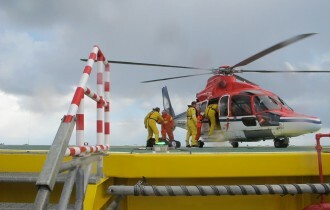 Each cabin is fitted out with secure lockers, desk, chair, 32-inch flat screen TV, internet connection and Wi-Fi, plus its own sanitary room with shower, comfortable chair, toilet and sink. 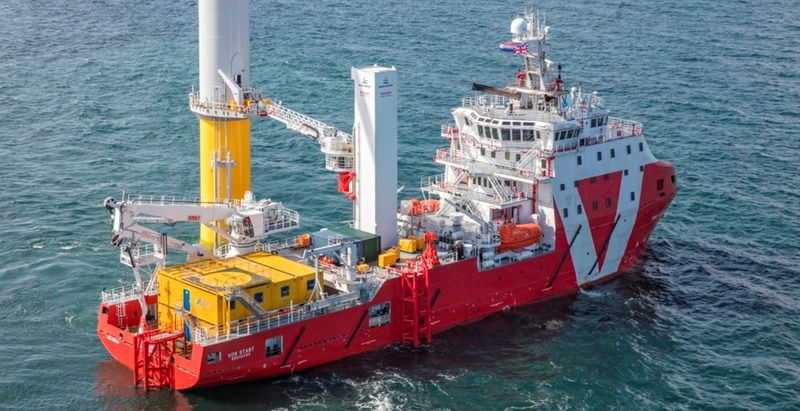 All H2M modules are manufactured to the highest industry standards; DNV 2.7-1, EN 12079 and ATEX, including compliance with IMO/SOLAS regulatory requirements for A60 fire protection withstanding even the most hostile offshore and marine environments. 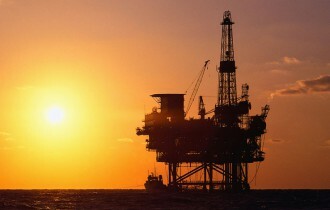 Safety-monitoring systems are incorporated, including an integrated fire and gas, pressurisation and emergency shutdown system suitable for Safe Zone and optional, Zone 2 hazardous area application.